CLOSEOUTS. 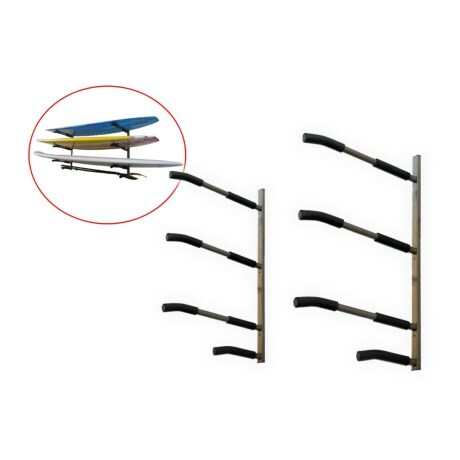 SpareHand Systemsand#39; three-tier SUP and surfboard wall mount rack offer safe storage for your surfboards and stand-up paddle boards. Featuring fully adjustable padded arms that can each support up to 60 pounds. Available Colors: SEE PHOTO.